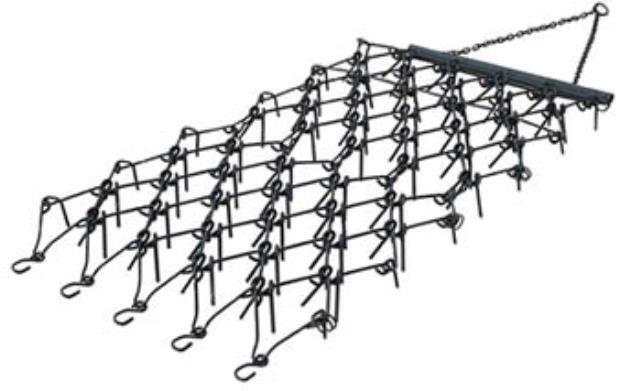 Chain harrow drag mat with pole and ring hook. 4' x 60" 1/2" x 4 1/2" tines cab be used 3 ways, tines up non aggressive drag, tines back less aggressive, tines forward more aggressive. * Please call us for any questions on our chain harrow with pole rentals in Portland OR, Gresham OR, Milwaukee OR, and surrounding metro area.